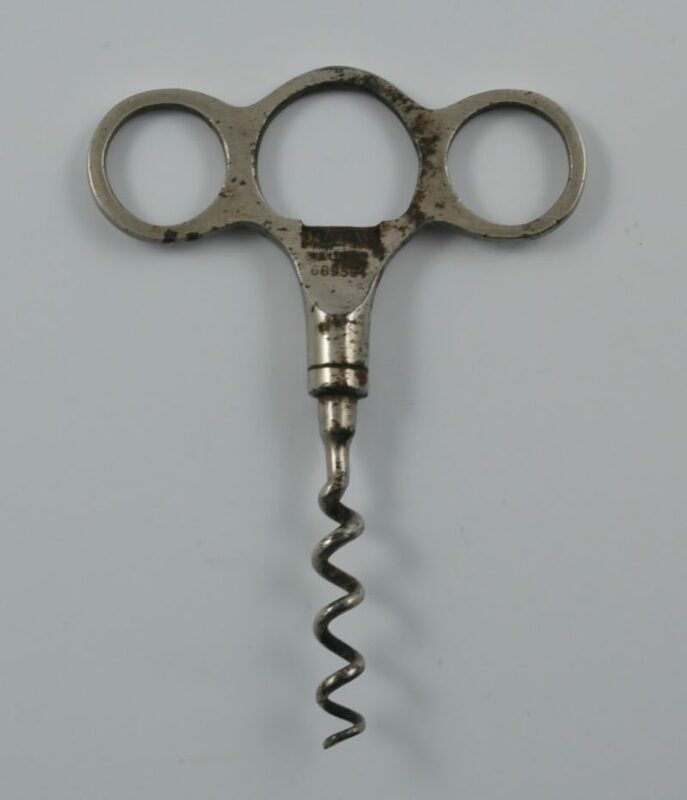 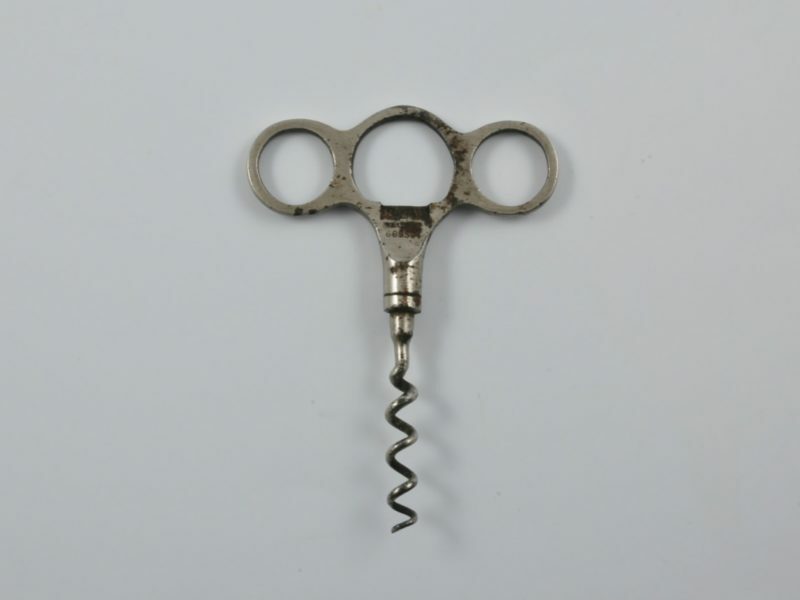 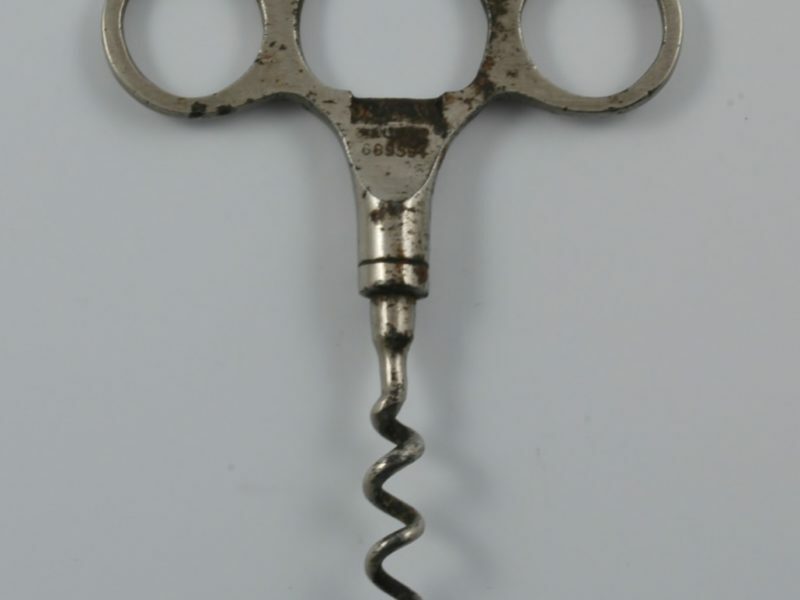 A three finger straight pull English corkscrew. 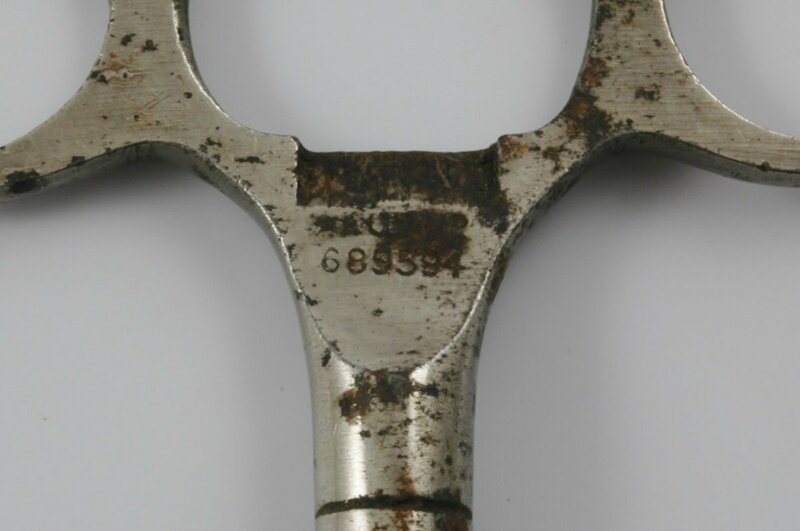 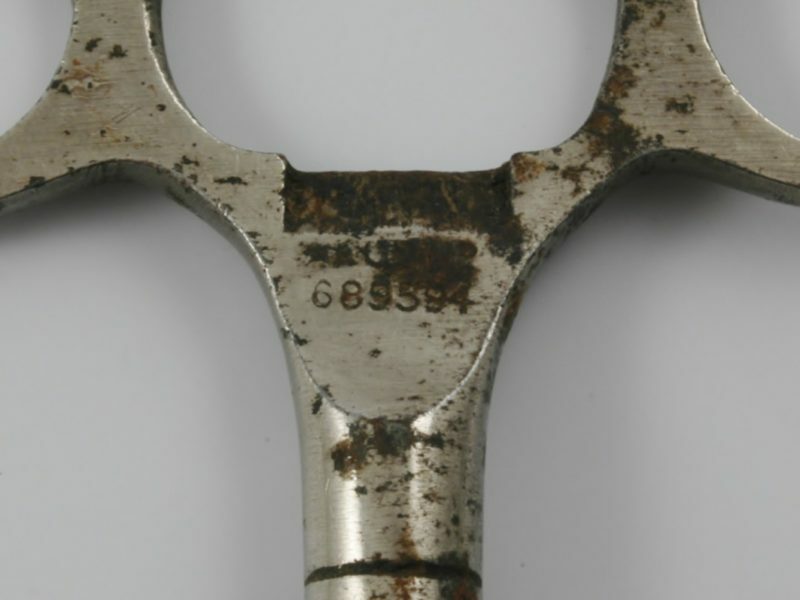 This example marked “REG 689594” below the cap lifter in the handle. 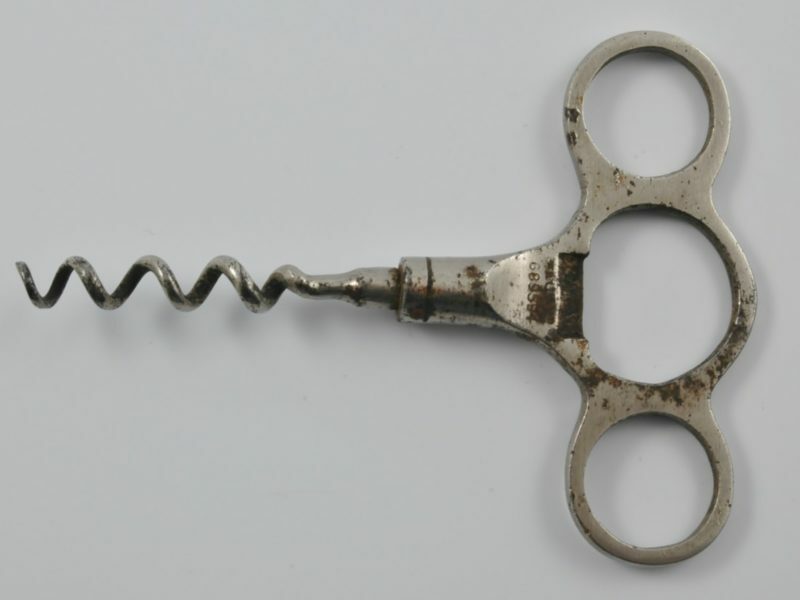 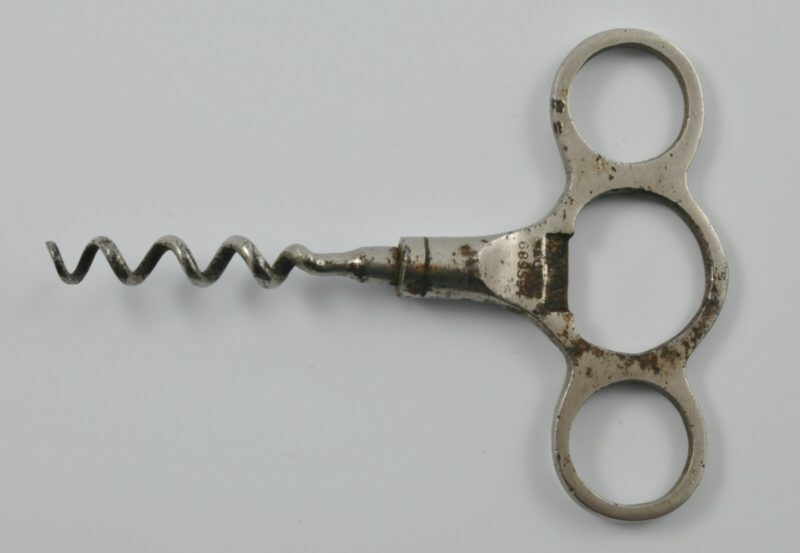 Thomas Charles Carter was granted a British registered design number 689594 on 18 April 1922 for a combined corkscrew and bottle opener. 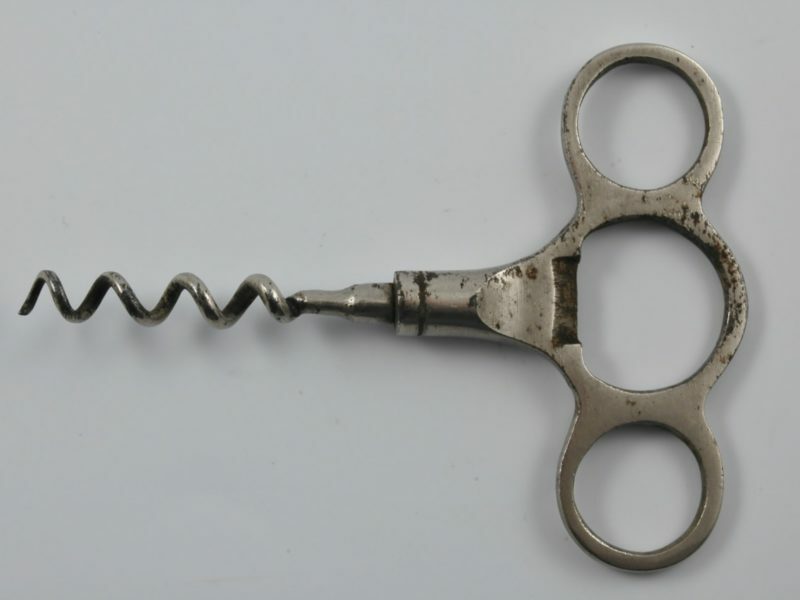 Perfect helical worm.